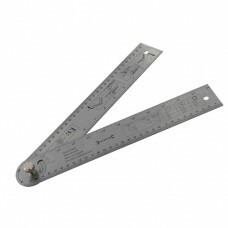 600mm Foldable steel protractor rules with metric and imperial markings. Angle finder for angle measurements. Tightening screw.